Our decorative folding screens at Grain of the Silos restaurant and cafe provide simple and beautiful spatial division. Kaynemaile decorative folding screens create an elegant division between the bar and restaurant in the Grain of the Silos restaurant and cafe at Peppers Silo Hotel in Launceston, Tasmania. 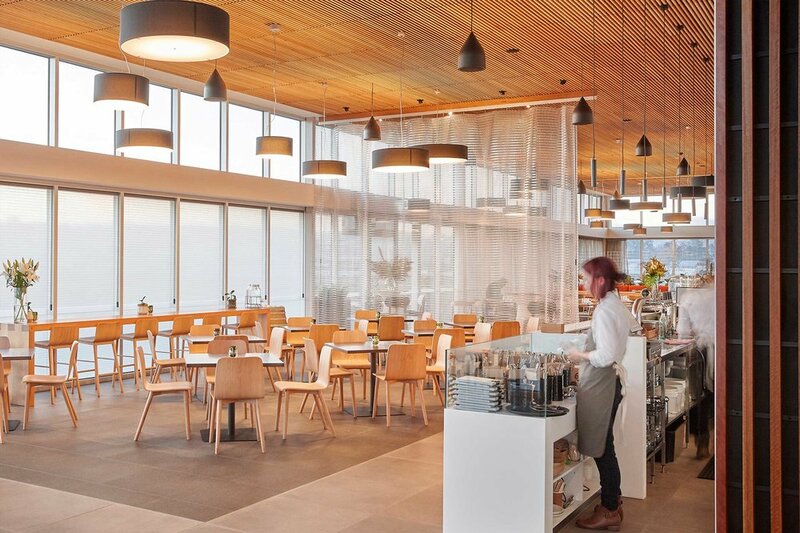 The restaurant and cafe, designed by ARTAS Architects, overlooks the Tamar River and focuses on locally sourced produce with it’s paddock to plate ethos. Dating back to the 1960’s, the heritage building which spanned 35 metres high containing grain in four large silos, is an iconic landmark converted into a sophisticated 9 storey hotel providing a unique place to stay in Launceston. The restaurant is located inside the converted grain silos and displays unique features drawing on the buildings industrial and agricultural past. The tall Kaynemaile folding screens were used to provide a clear division between the restaurant and bar and enhance the contemporary feel of the space. 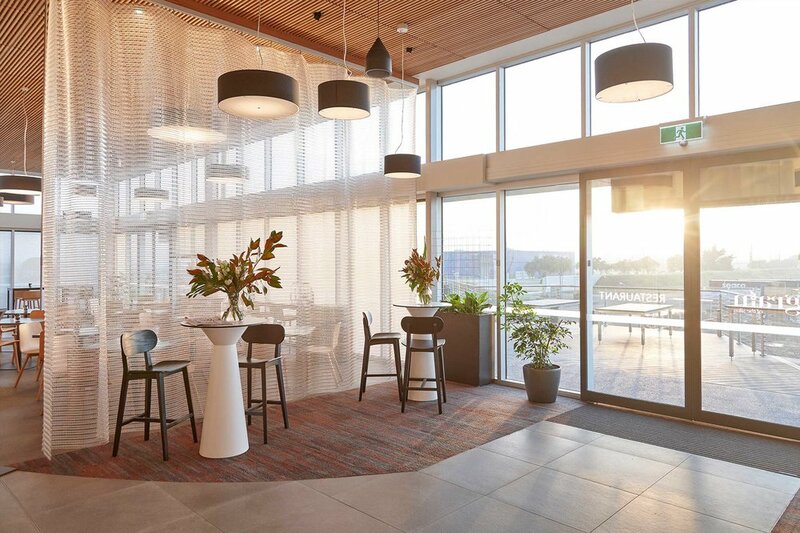 Kaynemaile screens can easily and quickly create functional areas which are more intimate and private while maintaining an open plan atmosphere - Perfect for this large and busy restaurant. They also offer the flexibility to create sectioned-off areas and can be retracted to create large open areas when needed. Kaynemaile folding screens are an operable system ideal for creating functional separation and visual privacy while maintaining an open plan atmosphere.